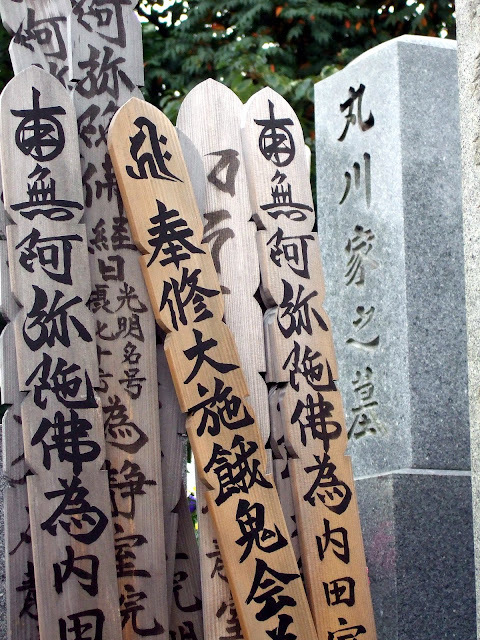 Yanaka is one of the few sections of Tokyo that survived both the 1923 Kanto Earthquake and the fire-bombing of WWII. 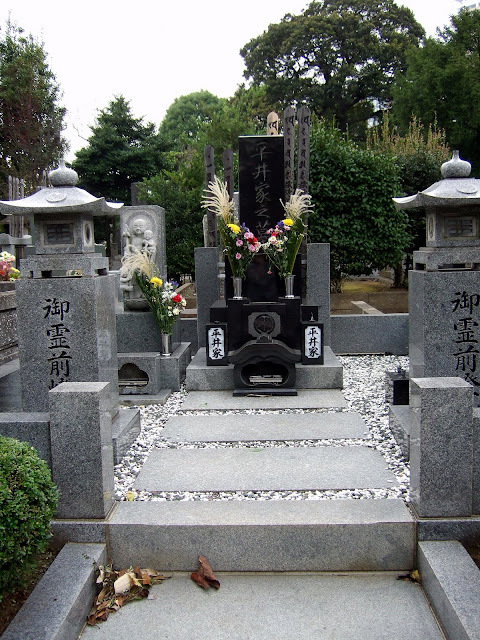 Yanaka Cemetery has about 7,000 graves, including that of the last Tokugawa Shogun. It was surprisingly quiet and peaceful in the midst of the city. They say that the cherry blossoms are absolutely amazing in the spring. The cats were cool. (There were two, actually, that I saw. This one let me pet it.) 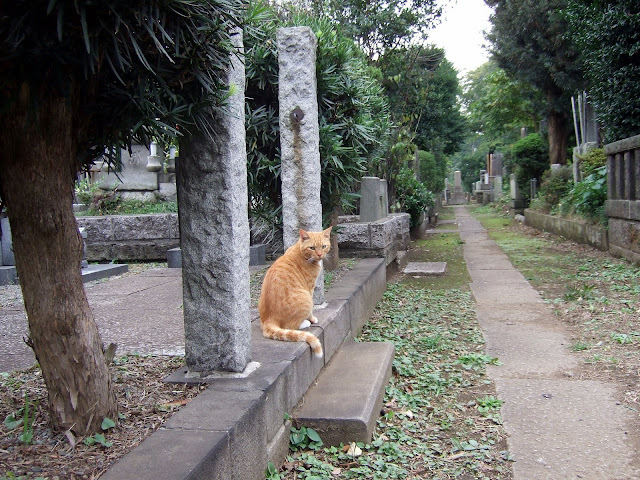 Many famous people are buried here, including Soseki Natsume (1867-1916) who wrote a famous Japanese novel "I am a Cat." Natsume's picture was on the 1,000 yen note (equivalent to a $10) until a few years ago. This area was beautiful and I'll go back again with the "good" camera. Spent most of the day shopping. Had lots of fun with Rachele in the textile district. Sumo tomorrow! 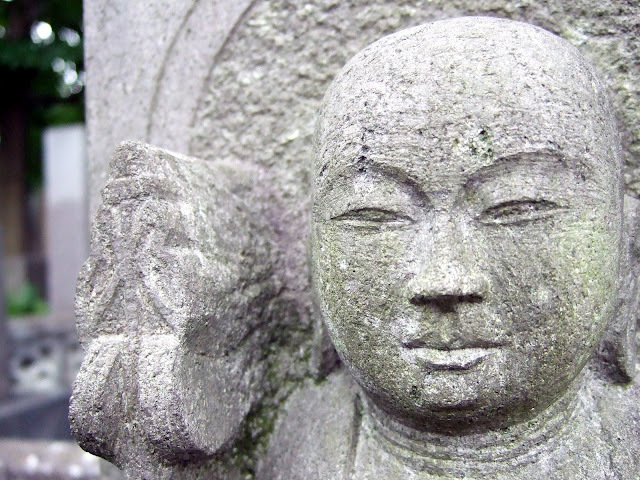 So you made it to Yanaka. Great pictures!